Access to an inner city rooftop provides a great opportunity to establish a garden haven to relax, to entertain or to grow produce. 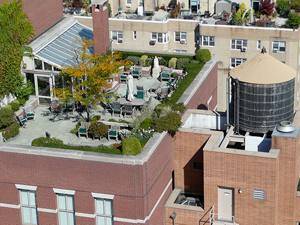 Typically rooftop gardens are set up in containers and raised beds. 1. Safety: you need to know the load bearing capacity of your roof to ensure that containers filled with soil, plants, water and mulch can be supported by your rooftop. 2. 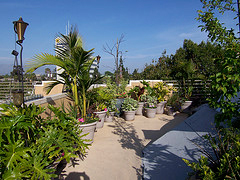 Sun: rooftop gardens can get very hot in the day and tend to hold onto this heat overnight. 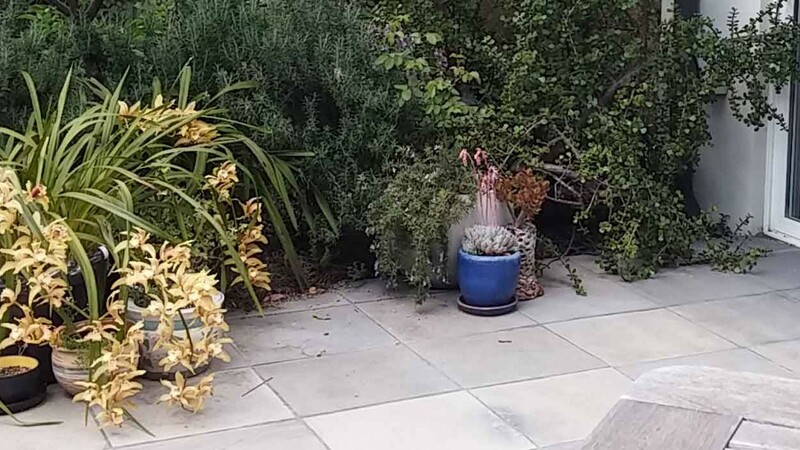 So silver-leafed, drought tolerant plants are generally recommended. 3. 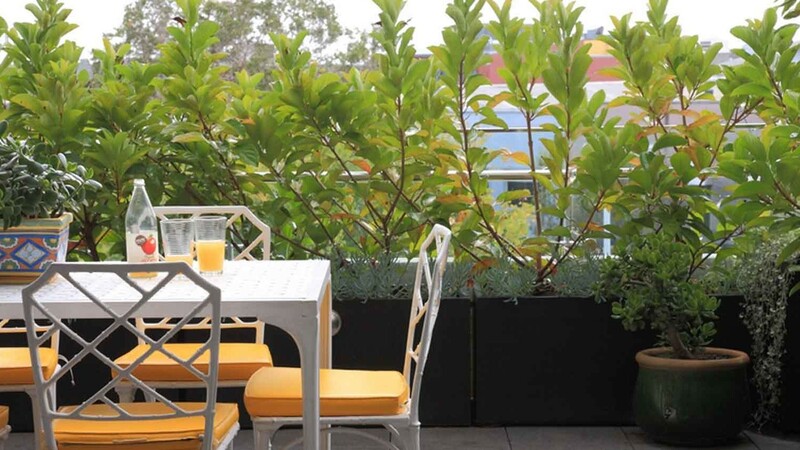 Shade: many rooftop gardens are heavily shaded by surrounding buildings so large-leafed, shade tolerant plants will perform best under these conditions. 5. Wind: your rooftop garden will probably be unsheltered and exposed to high winds. So use heavy pots otherwise your plants will topple over in every strong gust. 6. Plants: consider plants that come from open windswept areas when looking for ideas of what will grow on your area. 7. Owners Corporation: if applicable, check in with your Owners Corporation to make sure you are within their guidelines for establishing a rooftop garden.